GP-Pro EX Ver. 4.08.200 released! Note: To update from the earlier versions (Ver. 4.00.000 to Ver. 4.07.300) to Ver. 4.08, download Disc 1 for GP-Pro EX Ver. 4.08 Limited Edition (Full Install Version), and install with a valid serial number and key code. 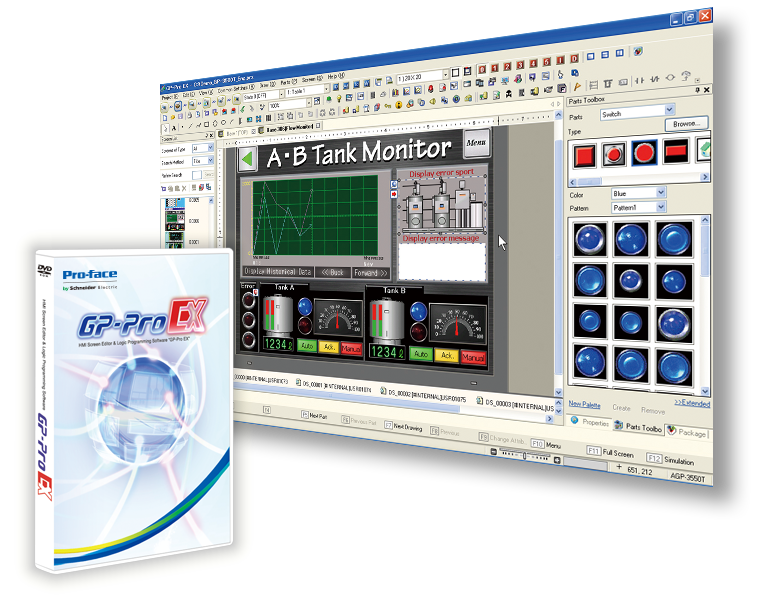 Using the runtime engine, WinGP allows you to create HMI screens of Industrial Panel Computer with GP-Pro EX. Visualize causes of short-time breakdown and improve operating rate. Design-conscious HMI. Rear-Mount Model with Flat Mounting in the GP4000 Series lineup. Compact, but Pro-face DNA is inherited.